Gatlin, 41, has been skating since the age of eight with his coaches Barb and Larry Needham of Pekin through Tri-County Independents. With the help of the Needhams, Gatlin sent in a video submission to Special Olympics and was selected. All of the athletes, including Gatlin, had the chance to work individually with Ohno and members of the U.S. 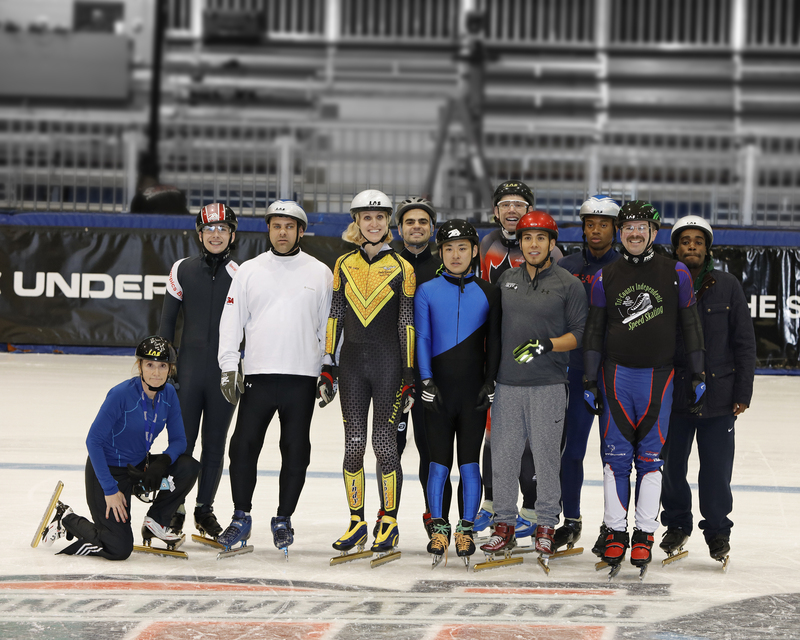 Speed Skating Team the day prior to the event. Ohno worked with Gatlin on his crossover technique. Gatlin skated in the 500-meter race, placing fourth overall. 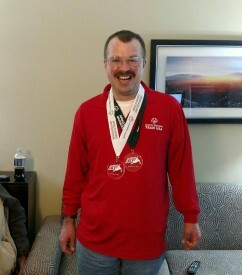 Gatlin, who lives independently and works at Richwoods High School cafeteria, represented Special Olympics USA at the 2009 Special Olympics World Winter Games in Boise, Idaho, where he earned two silver medals and one bronze in speed skating. The athletes’ parents and coaches were also invited to speak at a Project UNIFY School to speak with the students. Gatlin, normally a quiet athlete, was more than happy to speak about his experience with Special Olympics. 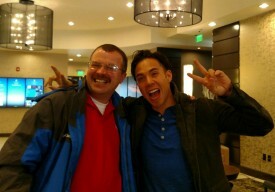 This friendly competition brought together five athletes from the United States, two from Canada and one from Japan. The Apolo Ohno Invitational showed the power of Special Olympics Unified sports by bringing together people with and without intellectual disabilities through sports.